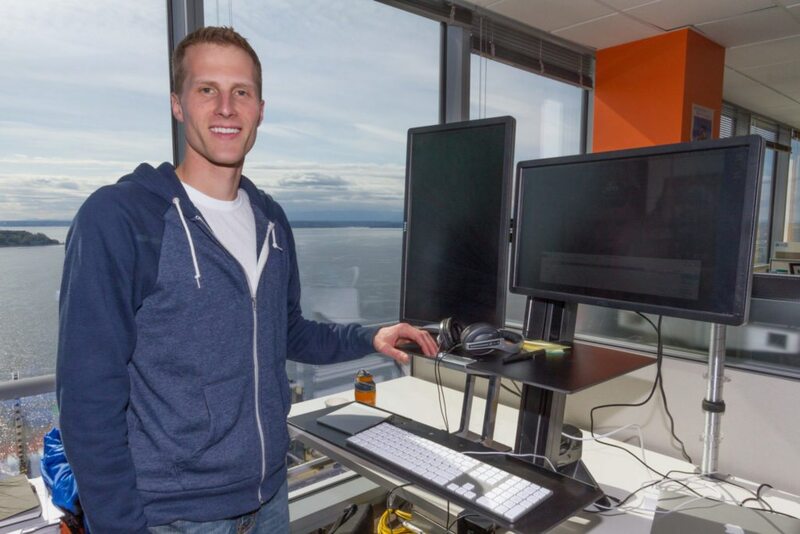 Nate Moch is the vice president of product at Zillow. My background is one of trial by fire, and of learning new things. I have no formal background in any of the areas in which I have worked, but the constant change and continual learning is what keeps me motivated. My life at Zillow started 9 1/2 years ago when Spencer Rascoff pulled me out of Microsoft to build a stress and performance team to help launch a new website (at the time it was a top secret project they didn’t even discuss in interviews). I had no experience with stress or performance, but I was excited to learn. Within minutes of Zillow’s launch, the site crashed. Ouch. Turns out none of us expected the traffic we received on our first day, and luckily for my career, the crash ended up generating lots of positive PR buzz. My next challenge was to build a new mortgage marketplace to allow anonymous users access to real-time, accurate mortgage rates. It seems obvious now, but at the time it wasn’t possible. My biggest learnings were around the importance of moving fast, iterating quickly and testing frequently. It turns out that building new two-sided marketplaces is not easy. After mortgages, I switched to focus on growing Zillow’s user base and enriching Zillow’s data. I love the real estate (and mortgage) industry because of the people and the opportunities to make a difference. I am a husband, father and technology guy. I spend most of my free time with family and friends, and enjoy playing soccer with my kids and chasing them as they scooter around Green Lake in Seattle. At Zillow, I am an enabler and motivator who likes getting things done. I love building new teams to tackle big challenges, and supporting them so they can go off and build amazing products. A lot of my time is spent hiring top talent, facilitating the sharing of ideas and information across teams and companies, and encouraging people to move fast and think big. The agent and lender professionals are resourceful, passionate and entrepreneurial, and really want to please their customers. For all of the focus in the news about battles between the industry players (which make great headlines), I think the more important story is we all have the same goal of creating the best experiences for buyers and sellers. I believe that if Zillow can make an agent’s or lender’s job easier or give them new tools that allow them to share their expertise and knowledge with users, everyone will have a better experience. Name your favorite Twitter account of those you follow. I enjoy watching TED talks so maybe @TEDTalks. My wife’s chocolate chip cookies … right when they come out of the oven. I love games but I have never been a video gamer. Recently I have been enjoying “Robot Turtles” with my two boys. It is a board game that gives kids an intro to some basic coding concepts. Who’s your favorite band or singer? It depends on my mood. When I am hacking, I like to stream film scores since they move fast and don’t have distracting lyrics. I don’t like the addicting nature of devices and how they can keep people from being fully present in face-to-face interactions. It is frustrating when you are having a group conversation and people momentarily check out to scan email on their phones. It is so automatic that people don’t even know they are doing it, but it can send a very strong subconscious signal. The worst part is knowing that I am guilty of doing it, too. I am a big believer in open data in the government and the industry. I think the more accessible we can make data, the more innovation we will get, in turn giving users better experiences. Long term, the most important differentiator for professionals and companies will not be control of basic data, but the knowledge and experience to interpret and communicate the data for their customers. Nate Moch: I am a big believer in open data in the government and the industry. I also think there is still a lot the industry can do to make the purchase process easier. Once a buyer has an agent and finds a house, there is still a lot of murkiness and pain around what is going on between the agent, lender, processor, etc. This is especially true when it comes to foreclosures. Absolutely, or I wouldn’t be doing what I do! I believe income inequality and a shrinking middle class is a serious social problem. It can be exacerbated in the short term by technology’s ability to consolidate power and resources into the hands of fewer companies and individuals (for example, Amazon replacing brick and mortar shops, or Zillow empowering top-producing agents). Describe what you do in one sentence: I love building new and innovative products to empower consumers. Would you like to participate in our hacker profile series? Email amber@inman.com.